Severn School | We Like to Move It Move It! There’s something contagious about the energy of our 4th and 5th grade Renaissance Drama students. 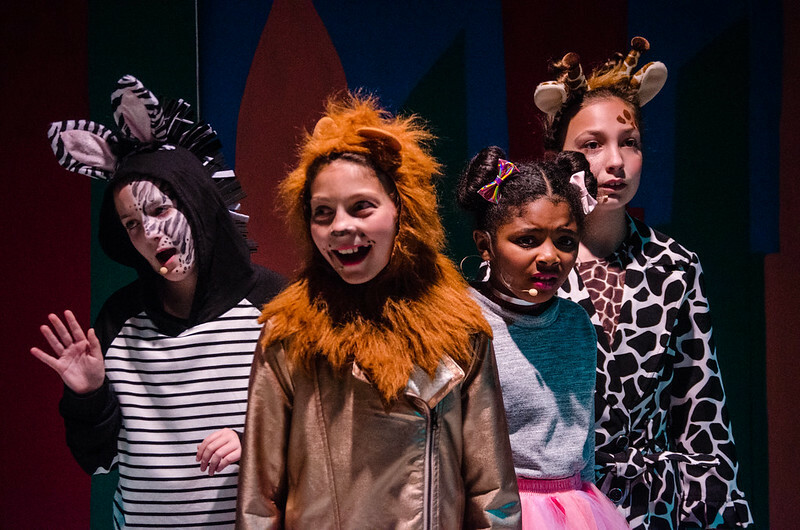 After months of rehearsal — singing, dancing, learning stage directions, and practicing light and sound — our Lower School performers’ rendition of Madagascar: A Musical Adventure Jr. left the crowd smiling and jumping out of their seats. Led by Musical Director Ms. Mary Gaylord and Drama Director Ms. Chelsea Padro, our Lower School troupe took us on a hilarious journey of friendship with madcap hijinks around every corner. Based on the Dreamworks animated motion picture, our production of Madagascar: A Musical Adventure Jr. was a project months in the making. Starting with auditions in early January, students met during school, after school and on weekends until just before the show opening at the end of May. From reading scripts for the first time to memorizing lines and working through each scene and number, our students created a truly entertaining experience for their families and peers. 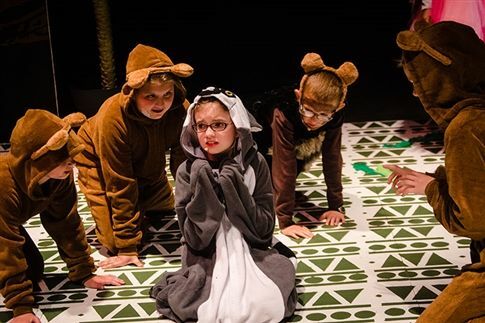 Take a peek behind the scenes at the making of our Lower School spring musical! Ms. Gaylord and Ms. Padro approach every Lower School production with the same level of professionalism one might see on much larger stages. Taking full advantage of our recently renovated Louise J. Sivy black box theater, they teach our students both creative and technical elements of the dramatic arts while emphasizing the importance of teamwork and perseverance. Some of our actors are new to the stage while others have worked on several productions, but every student walks away from the play feeling accomplished and proud of their work. Madagascar: A Musical Adventure Jr.!